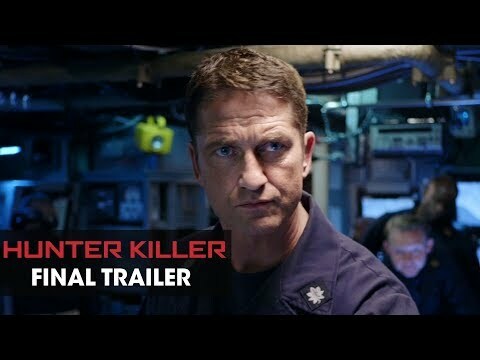 Hunter Killer was released on Cinema 178d ago in the US and the UK. Based on 13 Hunter Killer Cinema reviews, Hunter Killer gets an average Cinema review score of 47. The score for all versions is 47 based on a total of 13 reviews. That being said, given the familiarity of its politics and action beats, there’s something uniquely comforting about the central conflict in Hunter Killer. However nutty its geopolitics, Hunter Killer does its job as popcorn thriller with brisk efficiency. Hunter Killer has some great action sequences but never quite settles on what it wants to be. Hunter Killer needs its radar calibrated, because while it bounces between serious and silly, it never quite finds a suitable place to land. Gerard Butler plays the commander of a U.S. submarine attempting to rescue a Russian president in this military thriller also featuring Gary Oldman and Common.